On-the-spot repairs for glasses, sunglasses and spectacles at our Toowoomba optometry store. Our qualified optical mechanic dispenser can repair your glasses, sunglasses and spectacles with precision and skill using the technology and equipment we have at Darling Downs Optometrist. We can repair metal frames, plastic frames, hinges and most parts of your sunglasses, prescription glasses or spectacles. We stock a full range of soft nose pads and will replace these at no charge as part of our glasses service. 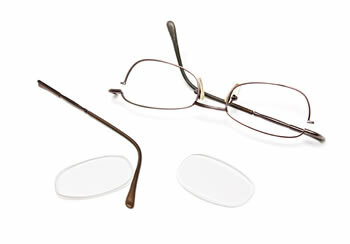 Most glasses repairs can be done on the spot and you don’t need to make an appointment. To have your glasses repaired or serviced, just drop in to our optometry practise at 355 Ruthven St, Toowoomba. No appointment needed.